This course will cover the core policies that most companies adhere to and that should be recognized in a work environment including appearance, chain of command, communication, tools, missing work, working hours, behavior and language, drug and alcohol testing and ethics. This course outlines the use and installation of vehicles as they pertain to the installation and service of fire systems. This course will cover driving records, drug and alcohol testing, operator responsibilities, safe driving practices and U.S. Department of Transportation (D.O.T.) requirements. This course will overview construction drawings, shop drawings, schematics, common drawing sizes and scales, details, standard symbols per NFPA 170 Fire Safety and Emergency Symbols, different drawing views, specifications and methods of specifying. This course covers electrostatic basics, Ohm’s law, principals of current, charge, voltage, amperage and resistance as well as provides examples of different circuit types including series and parallel. This course also covers wiring, wire gauges and determining voltage drop calculations in practical applications including horn/strobe circuit configuration examples. This multi-section course will go over various safety considerations and disciplines including lockout/tagout/tryout, fall protection, personal protective equipment and confined space awareness. This course will cover identifying hazardous chemicals, how hazardous chemical affect the body, what the different types of hazardous chemicals are, understanding product labels, understanding Material Safety Data Sheets (MSDS), and how to protect yourself from hazardous chemicals. This course covers CPR Requirements, emergency planning procedures, precautionary measures when dealing with blood borne pathogens, understanding accidents versus incidents and accidental investigation and reporting procedures. This course will provide a broad overview of the organizations that help create codes and standards and understand the major codes and standards that affect equipment, agents, layout, installation and maintenance of special hazard fire protection systems. This course will also help to understand the basic processes by which codes and standards are created, adopted and revised. This course covers both written and verbal communication skills that are just as important to your professional success as technical knowledge is. Verbal communication skills covered include some rules of thumb, do’s and don’ts, body language and listening techniques. Written communications skills covered include definitions for parts of speech, sentence structure and example sentences. This course will cover the following objectives and provide information on how to be able to create a layout for a simple special hazard fire suppression or fire alarm system. The course will provide basic knowledge on what information should be provided as part of the simple design and will help you understand the fundamentals and requirements for preparing a simple design drawing. This course covers how to disable, transport and store compressed gas cylinders, what personal protective equipment should be used and recognizing different cylinder valve and anti-recoil device types. This course also shows examples of what can happen when a cylinder under stored pressure accidentally discharges, covers proper transportation techniques and DOT requirements. This course covers detection strategy and the different types of detection including smoke, heat and flame detection. This course also covers multi-sensor and multi-criteria detectors as well as video smoke detection, gas detection and detector zoning methods including cross-zoning, counting zones and sequential verification. This course covers the codes that affect where detection is required and how to provide it, help identify what is involved with determining performance of the detection system and be able to identify correct and incorrect methods of detector spacing in a given application. This course also covers definitions of listed spacing, nominal spacing, design spacing and radius of coverage. This course will help the student gain an understanding of fire science, learn about the various types of fire extinguishing technologies and understand how each technology extinguishes the fire. These extinguishing technologies include Clean Agents, CO2, Wet Chemical, Dry Chemical, Foam, Water Sprinkler and Water Spray and the NFPA standards that pertain to each. This course covers the various types of extinguishing agents and their role in special hazard fire protection hazards This includes a detailed, multi-section breakdown of various agents including clean agents, CO2, Inert gases, water mist and hybrid systems. The section breakdown for each agent provides an overview on principles and capabilities, suitability and safety considerations, design concentrations, delivery systems, testing procedures and code requirements. This two section course will cover in detail the two most common pre-engineered systems; dry chemical and wet chemical systems. This course will review for both: the applicable codes and standards, components, system requirements, total flooding systems, local application systems, inspection, testing, maintenance and recharge of these systems. This multi-section and multi-discipline course covers fire alarm systems as they pertain to NFPA 72 , the National Fire Alarm Code, and details the fundamentals, circuits and pathways, testing and maintenance procedures, initiating devices, notification appliances and emergency control functions. This course will define and help determine different classifications and units of measure, common conversions, how do find areas and volumes of given shapes and how they apply to fire protection hazards. This course also covers enclosure configurations and how different volumes are defined and applied to NFPA standards for the purposes of designing total flooding suppression systems. This course will familiarize the student with identifying shipments that are hazardous, understand shipment documentation, understand the various shipping labels and markings, make determinations whether proper shipping containers are used or not and learn basic emergency response information. This course will familiarize the student with emergency response procedures in case of a shipment accident, drivers requirements when hauling hazardous materials, loading and unloading procedures, and security risks and procedures. This module also covers ATF requirements for handling and storage of explosives, when background checks are required, inventory control, record keeping, approved storage techniques, security requirements, controlling emissions of clean agents and the impact transporting these materials can have on the environment. This course will detail the safety risks and considerations when there is a potential for exposure to Carbon Dioxide Fire Suppression Systems. This course will go over the types of Carbon Dioxide suppression systems, the NFPA 12 Standard for Carbon Dioxide Systems safety precautions and requirements, safety devices, mechanisms and signage, defining applications and spaces as well as how to safely commission, test and inspect these systems. This course will describe the different design goals of detection systems including placement, spacing and locations for installation. This course will also define the roles of fire detection systems, technology selection criteria and fire detection design standards and practices. This course covers what ARC flashes are, what kinds there are, how they happen and preventative safety measures. While we usually work with low-voltage fire alarm and suppression systems, this course describes the importance of being aware of your surroundings being mindful of work practices and recognizing when you are in an environment where arc flashes could occur. This course also covers NFPA 70E Requirements (Standard for Electrical Safety in the Workplace) as well as understanding approach boundaries, OHSA regulations and work permits. This course will familiarize the system installer with the basic materials and methods used to install a piping network to deliver gaseous agent from the agent storage container(s) to the discharge nozzle(s). These include pipe and fitting types, guidelines for various agents and extinguishing technologies, pipe connections, pipe cleaning, pipe thread lubricant, pipe support systems, joint loops and seismic bracing. This course will provide a review of the agent delivery piping installation, review of mechanical installation, safety procedures for pipe pressurization and puff tests, standards and requirements for clean agents (NFPA 2001) CO2 (NFPA 12) and water mist (NFPA 750) as well on how to fill out the proper documentation and forms for these two procedures. This course provides an in-depth look at the facets of special hazard system troubleshooting including understanding terms, acronyms and definitions, preparation, history and program review, how to identify possible causes of ground faults or troubles, tools and equipment used to aid in troubleshooting, using the divide and conquer method, repairing practices and testing procedures. This course covers both code requirements and best practices for various detection methods including smoke, air sampling, video smoke and flame detection. This course is designed to familiarize the student in design practices, spacing, including those for high airflow environments, agent release requirements, alarm notification requirements including strobe synchronization and special requirements for CO2 and Halon 1301 Systems. This course will cover everything a special hazard fire protection design engineer needs to know from start to finish including how to prepare for a site survey, what to look for on a job site, what questions to ask and understanding on-site requirements. This course will also detail what needs to be included in your special hazard design drawings including architectural requirements, electrical schematics and mechanical working plans, agent specific information, submittal for approval, permits and approvals, record keeping practices and final design documentation. This course will cover advanced practice and knowledge of system inspection testing and maintenance including limits of the systems inspection and test, frequency of inspection, inspection reporting, inspection & test procedures, results of the inspection and post inspection communications as well as understanding and preventative measures for non-fire related discharges of fire suppression systems. This course will provide an understanding of why hazard analysis is important, general guidelines for conducting a hazard analysis, the typical information that is collected, an introduction of common hazards found, typical fuels encountered, special considerations and special hazard analysis concerns when servicing systems. This course will review the basics of fire science, the characteristics of fire, flammable limits, ignition sources, the different types of combustible materials and their classifications. The course also covers the extinguishing agents and technologies available for these various fire types including Clean Agents, CO2, Wet Chemical, Dry Chemical, Foam and Water (Sprinkler and Mist) and review each ones extinguishment properties, modes of application and common applications for use. This course is designed to introduce typical project management processes and tools that will assist in planning, communicating, managing, measuring and ultimately delivering small and large projects successfully on-time, on-budget and to customer satisfaction. Methods also include understanding resources required for completion, delegation of activities, being cognizant of schedule and deadlines, proper reporting, and the various steps and stages of a given project. This course will consider the requirements for visual inspection of cylinders including D.O.T. requirements, applicable NFPA standard requirements for clean agent, CO2 and dry chemical cylinders and overview the compressed gas association visual inspection procedures and how to look for corrosion, pitting, leaking dents, damage or other defects. This course also covers the requirements for visual inspection differences that apply when a cylinder is either in service or discharged. This course is designed to provide an overview of the requirements of clean agent retention time for gaseous clean agent systems. This course will describe what the Blower Door Fan Test is, how it is performed, common equipment, NFPA 12 and 2001 requirements, pressure relief venting, leakage considerations, how to take measurements, exploration of common ‘hold time’ difficulties, pressure venting design requirements and calculations and common pressure changes during discharge. 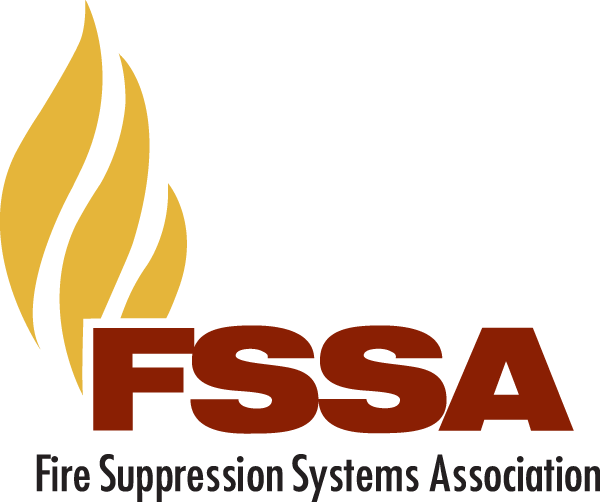 This course will review interconnections from Fire Alarm Systems to Fire Suppression Systems, compatibility of releasing systems and their components, UL 864 requirements, examples of various releasing devices and their NFPA requirements when used. This course also covers automatic release configurations, examples of system release, definition of suppression system release terms and automatic release bypass switch requirements. This course will describe the steps and procedures a technician must take to ensure proper functionality and operation of the installed or modified fire system. This includes information on preparation, what tools and equipment you will need, the required forms, NFPA testing requirements, discharge testing and how to verify sequence of operations and programming. This course will encompass communication between various groups in the workplace including customers, supervisors, employees, co-workers and authority’s having jurisdiction. This course also will review electronic communication and technology, written communication skills, follow-up communications and general guidelines. To view pricing, click here.